You’ve probably heard the disturbing news. Sitting for extended periods of time—like a lot of us do at work—has been linked to increases in heart disease, obesity and diabetes. And NPR reported on a study that links sedentary behavior with a greater likelihood of being disabled after age 60. Unfortunately, even working out regularly doesn’t decrease your risk for these conditions. Great. So what are we supposed to do? Thankfully, the answer is pretty simple. Stand up and get moving. According to the ergonomics experts at Humanscale, (one of our office furniture manufacturing partners) standing for as little as three minutes each hour resets your body’s metabolism just enough to counteract the previous 57 minutes of sitting. While three minutes is good, Humanscale notes that splitting your day 50/50 between standing and sitting is best. We've expanded our height adjustable and standing desk designs to help you have a healthier, more energized workday. Explore the options below and discover which standing desk is best for the way you like to work. 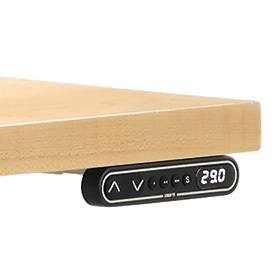 The Float desk’s unique counterbalanced mechanism allows the desktop to smoothly “float” up or down when you engage the one-handed release lever. The desk moves quickly and quietly without electric motors or cranks. The tension can also be adjusted to accommodate the weight of items placed on the surface. With clean lines and an array of top and base options, this ergonomic and health-conscious desk complements any work environment. The Float® desk features a unique counterbalanced mechanism that allows the desktop to smoothly “float” up or down when the one-handed release lever is engaged. 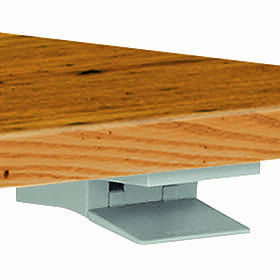 The SW desk features smooth and quiet height adjustability, electronically. With three customizable settings, you can ensure the desk is always at the exact height you prefer. The desk also stops automatically when the surface comes in contact with an unknown object. 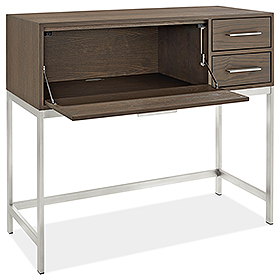 Enjoy this safe and stylish desk option that offers the freedom to work the way you want. Easily alternate between sitting and standing throughout your workday with this desk's smooth and quiet height adjustability. It operates electronically with the touch of the button, and you can preset three height positions. Just place your computer on the top surface and voilà, you've got a standing workspace! Easily switch back to sitting while you work with the drop-down desk option. Do you have a standing desk at your office? Any tricks to avoid sitting all day? Tell us all about it in the comments!